Place 1/2 cup ice cream in each cup. 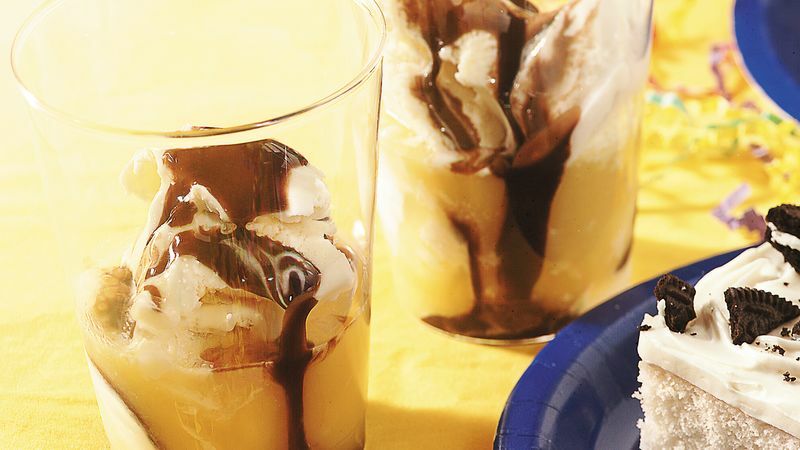 Top each with 1/4 cup orange juice and 2 tablespoons chocolate syrup. Serve drinks with spoon; stir to blend.